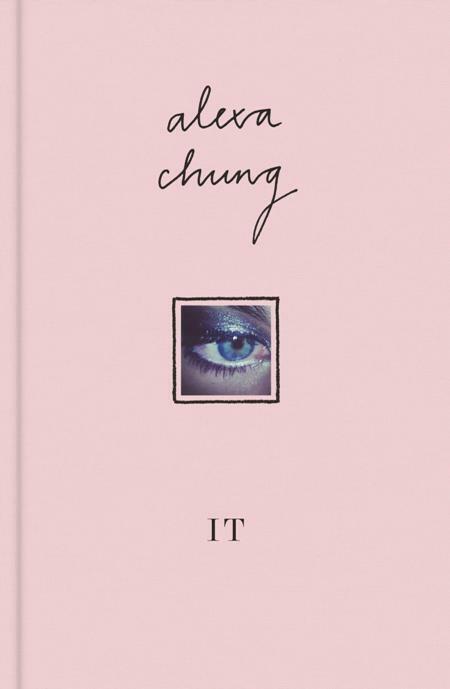 I recently got my hands on Alexa Chung’s book “It”. Firstly I have to say, I LOVE the pale pink binding and the simplicity of the cover. Due to the fact i’m quite visual I usually opt for a book with a pretty cover (Don’t get me wrong content is most important) but other than its obvious charm and ability to sit looking pretty on my coffee table the book for me was… a little disapointing. I can’t say I strongly disliked it or that it didn’t meet my initial expectations because quite honestly i wasn’t aware Alexa Chung had written books, however it certainly wasn’t anything to hype about. No one can deny Alexa Chung definitely possesses the cool factor along with an IT Girl status. Whatever IT is, she has it. But this book felt slightly like an unfinished project. It was as if the publishing team had held a meeting and decided that this IT girl could sell books, ran it by her and with her consent literally threw it all together in a day. The part I enjoyed most was the random drawings (which I presume she had scribbled herself) and the photographs of people and things related to her life. The book also has various references to her style icons including, Twiggy, Annie Hall alongside images from the 60’s, old films and rockstars; Something I’m sure we all knew about Alexa just from looking at her and her distinguished sense of style. Another positive and negative (whichever way you choose to look at it) The book doesn’t have any kind of chapters or section titles which means if you miss a page it really doesn’t matter. Its a real shame that we don’t get to delve into her life with a bit more substance. The book seems like a wasted opportunity given Alexa Chung is an icon in her own right and such a big personality. I think overall It could have done with more of this – more of the real Alexa. – The Guardian.